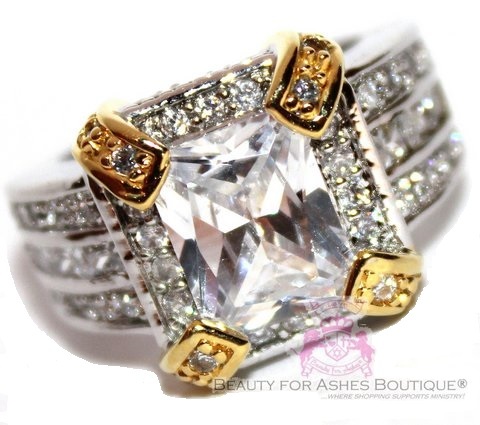 Genuine clear cubic zirconias surrounded by white gold plating and yellow gold plated accents. The ring shank is 3mm thick on the sides. Absolutely Gorgeous!